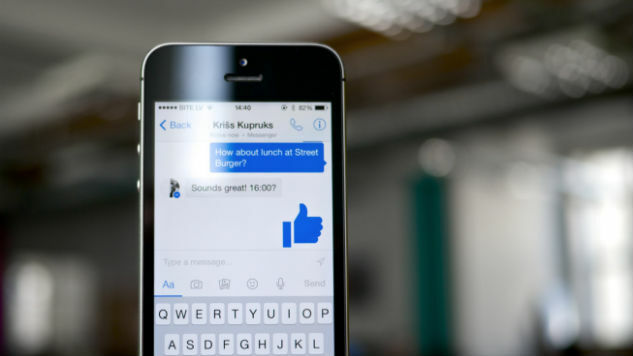 Facebook Messenger is essentially the same thing as texting as it allows you to send instant messages to anyone, anywhere (well, so long as they exist on Facebook, but we’ll get to that later). So why does anyone need or use Facebook Messenger? The main difference between texting and using Messenger is that the app works with your data plan so you don’t get stuck paying for every message you send. The app is currently number eight in the charts for most downloaded free app in the App Store. Back in 2011, Facebook released Facebook Messenger as a standalone app for Android and iOS and, by 2014, it removed the feature from the Facebook app to force people to download the new app. Lately, Facebook seems even more intent on pushing users to interact with the Messenger app and use it for more than just sending messages to your friends. I decided to actually play around with the Messenger app and discovered that there’s a whole lot more that you can do with Messenger that most of us probably don’t realize. This one really surprised me, but it’s true! If you remember back in 2012, Facebook first announced that Android users could sign up to use Messenger even without having a Facebook account. All they needed was a name and phone number. Then, in 2013, Facebook decided to let users send messages to anyone, regardless as to whether or not you were friends, but you had to have each other’s phone numbers in your contact lists. Today, as long as you are 13 years old or above, you can sign up for Messenger as long as you have a phone number, no Facebook account needed. All you have to do is download the messenger app and you get access to all of the Messenger features. There was a lot of confusion about how to access Messenger when Facebook decided to remove it from the Facebook app. While some people downloaded the Messenger app, a lot of people hated the idea of having two separate apps an didn’t understand why. Instead of downloading Messenger, they would use the browser on their phone to login to Facebook and view their messages. What you probably didn’t realize is that you can just go to the Messenger website and login to view your messages. Again, this is a Messenger-specific website so if you want to avoid all the annoying posts from friends on Facebook, you could just login through Messenger and solely deal with private messages. If you tap the “$” symbol in Messenger, you can make a secure payment to your friends using your debit card. Oh, and you can do this for free! It essentially feels like using Venmo, but in Messenger. There payment is encrypted and PIN protected; you can enter a description of the payment; and you can request money from your friends too. To make your payment even more exciting (because everything you do on Facebook needs to be super fun) you can change the “theme” or background of the transaction. So say you’re buying cupcakes for a friend’s birthday party. You can change the background to photos of cupcakes just in case you friend doesn’t remember why you’re exchanging money. Remember when Snapchat turned down Facebook’s offer to buy it? Well, Facebook has been making a lot of changes to Messenger that feel a whole lot like Snapchat. In 2016, Facebook announced end-to-end encryption as an option for Messenger users, meaning, it allows you to send a “secret message” that self-destruct and will disappear after a set time period. Sound familiar? And just because sending secret messages isn’t enough like Snapchat for Facebook, the company most recently launched “Messenger Day,” a feature where you can upload photos and videos from your day a la Instagram Stories a la Snapchat. The Messenger camera is even fitted with stickers, masks, filters and frames to make your photo silly before sending to your friends. Don’t worry about those silly photos and posting a play by play of your day-it all disappears in 24-hours! Facebook Messenger is partnered with both Uber and Lyft so you can send a request for either app to send you a driver directly through the Messenger app. To access this feature, simply click the “+” button in Messenger and click on the “Request a Ride” icon and just like that, you have request a ride without leaving the Messenger app. One of the cooler features I didn’t know existed on Messenger is that you can share your location with friends through Messenger. It’s basically like dropping a pin in Apple or Google Maps, but doing so through Messenger. The location remains for an hour and it will continue sharing even if you’re not using the app, which can be super useful when you’re traveling and don’t always have access to WiFi or data. Lastly, the coolest feature I just discovered on Messenger is instant games. It’s unclear how you access this, but if you type in “Space Invaders” or “Pac-Man” into the search bar, you can play these games! The instant games feature was announced in November of 2016 and while there are only a few options available, I’d love to see more games added. So if Messenger isn’t exactly your cup of tea and you prefer Instagram or Snapchat, you might as well still download it to play Space Invaders! No wonder Facebook is pushing everyone to use Messenger as a standalone app—with all these build in features that many of us may not have known about, it’s pretty clear that Facebook as every intention of becoming the sole app for every purpose (games, payments, ride requests, etc.) imaginable.